Lots of people in treatment for cancer are affected by dry mouth. Sometimes, dry mouth can last beyond the end of treatment. 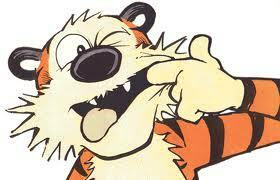 The medical term is xerostomia, from the Greek words xeros (dry) and stoma (mouth). Dry mouth happens when the mouth tissues dry out due to a lack of saliva. Saliva’s important because it reduces the germ level in the mouth, helps cleanse the mouth, removes food debris and maintains health of the tissues lining the mouth. All of these functions help prevent cavities, too. If dry mouth becomes severe, people can develop chewing, swallowing, tasting and talking problems. It’s most common in patients who’ve been treated with radiation for head and neck cancer. Mouth sores, where you get little white or red spots in the mouth. Increased mouth sensitivity. Your mouth may hurt, especially while eating. 1. Searching the internet is probably the number one method used to verify who your trusted family members, friends and co-workers recommend to you. If you search the internet, look for the number of reviews (20 or 450 reviews) and the timeliness of the reviews (i.e. how current are they). 2. Some suggest you ask your family doctor, but in today’s world a) your doctor can’t be reached and b) he really doesn’t have a clue, so forget that route. 3. Contacting your local or state dental society for a referral will probably be a waste of time, but if you are going to go that route, my associate of 24+ years was the past President of the Georgia Dental Association. Look him up, Dr. Sidney Tourial. Search the Internet or look under “dentists” or “associations” for the dental society nearest you. 4. Call your nearest dental school clinic. Really, that’s about as good as calling your doctor. 5. Consult the American Dental Association’s member directory. I guess, but almost every dentist belongs to the ADA. So how do you distinguish among the 170,000 dentists in the U.S.? 6. Ask your current dentist for a referral if you are moving to a new area. That actually makes sense. Ask him or her if they wouldn’t mind checking out a few names you have narrowed it down to. 7. How long have they been in business? We’ve been in business since I graduated my prosthodontics residency from Emory University in 1988. 8. Determine how accessible the dentist is: Is his or her office near your home or job? If you work, somewhere between home and near work seem to make the most sense. 9. How hard is it to get the appointment times you need to fit into your work schedule or other members of your family’s schedule? 10. Survey the office to make sure it is clean and well-kept. We offer complimentary (free) consultations, so it doesn’t cost you anything to look at the office and our staff. 11. Look for pleasant, respectful interactions between dentist and staff. Again, we offer free consultations, so it cost you nothing to check us out. 12. Consult with the dentist about your dental history and problems, and decide whether you like the way he or she explains preventive measures and treatments. Realistically, we are going to be on our best behavior, but again realistically, how many group practices have associates for 24+ years who was the President of the GDA? And my newest associates are my two wonderful daughters. 13. Ask about fees, payment and insurance plans. We both want to know about each other. I want to know what your expectations and circumstances are and you want to know whether or not I am delivering a service that you value and trust. 14. Find out whether your dentist provides a way for you to receive emergency, after-hours care. Of course we do. We give out our cell phones. 15. Ask what sorts of continuing education he or she has pursued to keep up with new developments in dentistry. Quite frankly, I am a prosthodontist, and there only 3200 prosthodontist out of 170,000 dentists in the country. It’s a pretty rigorous post graduate program and very few dentists choose to put themselves through the process. I am constantly taking courses and attending study groups to either validate what I am doing or learn new techniques. If we can be of service or answer any of questions please feel free to contact us. Also, visit our website. It’s long and what some say wordy, but we are attempting to be informative and put in writing as much as one can tolerate on the internet. 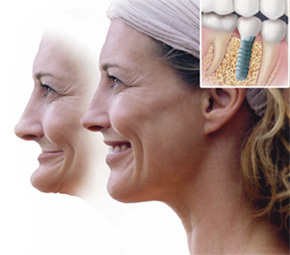 Dental Implants are actually an amazing procedure that give you a second chance for your teeth! Increased self-confidence. 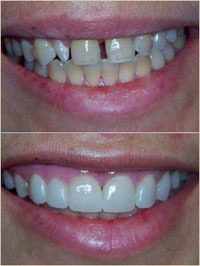 Because they function like natural teeth, most people who get them experience a renewed sense of self-confidence. Improved biting pressure. Healthy teeth are able to absorb over 300 pounds of biting pressure per square inch. If you have worn dentures for long time, that pressure may be diminished to one-tenth that of natural teeth. Dental implants can restore the amount of pressure that can be withstood to nearly the same level of healthy natural teeth. Comfort and fit. Because your replacement teeth are anchored securely in your bone, they won’t slip or slide like unsecured dentures can. Call today and make an appointment for a free consultation to see whether or not you are a candidate for dental implants. You want a dazzling smile without gaps, chips, or stains? Usually, after just two visits, you can look forward to enjoying a brand new, natural-looking smile for years to come. How’s this possible? With porcelain veneers. Designed just for you, veneers are made of durable porcelain and placed over the front of your teeth, enhancing their appearance and, in the process, boosting your self-confidence. How do you think all those movie stars got those great smiles? With a cosmetic prosthodontist and veneers. Your first visit with allows us to talk to you about your smile. As we get to know you and what you have in mind, we can create a plan that takes into consideration your overall appearance, including the shade of your teeth as well as the contours of your face. We’ll also make an impression of your teeth and gums, which our lab will work from to design your permanent veneers. Your first appointment ends with prepping your teeth for the temporary veneers you’ll wear in the meantime. Your next appointment is all about fitting you with your permanent ones. Once they’re in place, you can leave our office with a more natural, more esthetically pleasing smile than you’ve ever had. To find out more about porcelain veneers or to schedule a consultation visits with Dr. Scheinfeld, call or email us today. Our office is conveniently located at the top of the perimeter in Sandy Springs. Everyone loves a bright smile. With porcelain veneers, it’s possible to finally have the dazzling smile you’ve been dreaming of. There are occasions when circumstances dictate addition visits. As an example, you may need to whitening your surrounding teeth to match the shade you desire. I’m not happy with the yellow on my teeth. How can I safely whiten them? The first thing you should do before whitening your teeth is talk to your dentist. He or she will be able to help you decide the best option for you. Whiteners will not fix all kinds of stains. Also, if you have bonding or tooth-colored fillings, these will not be affected by whiteners and they may stand out if you whiten your teeth. Remember that using a whitener does not make your mouth healthier. This kind of whitening, called “chairside bleaching,” is done in your dentist’s office. It may require more than one office visit. Each visit may take from 1 to 2 hours. During chairside bleaching, the dentist puts a whitener on the teeth and uses a special light to make the whitener work. Lasers are sometimes used during tooth whitening to make the whitening agent work better. There are a few different products that can be used to whiten teeth at home. Some come from your dentist, and others can be bought over-the-counter. These contain peroxide(s), which bleach the tooth enamel. Most come in a gel and are placed in a mouth tray that fits over your teeth. These gels are designed to help many types of staining. Only the dentist-dispensed solutions have the American Dental Association (ADA) seal. Other over-the-counter whitening products include whitening strips, paint-on products, gels, and trays are available with a low amount of peroxide. For better results, have a cleaning at the dentist before you use these products. These gels and trays do not have the ADA seal. All toothpastes help remove surface stains through mild abrasives. “Whitening” toothpastes that have the ADA seal have special polishing agents or chemicals that remove even more stains. Unlike bleaches, these products do not change the actual color of teeth. They help remove surface stains only. A small disclaimer is that these products can make your teeth temporarily more sensitive. They can also bother your gums. These side effects most often go away after you stop using the product. Sandy Springs Dentist Novy Scheinfeld is a Prosthodontist.